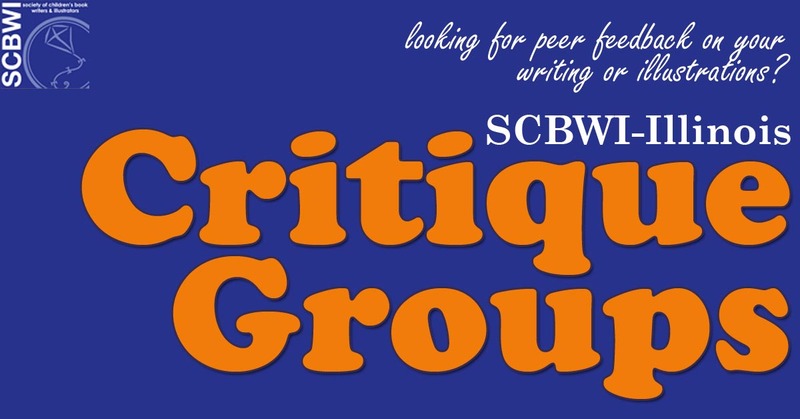 Welcome to SCBWI-IL Critique Groups! Posting to this page is an SCBWI Member benefit, BUT non-yet members may query Group Contacts for openings, unless noted otherwise. All participants, regardless of member status, agree to abide by the SCBWI Anti-harassment Policy. SCBWI has a zero-tolerance policy against harassment of any kind. Any violation of this policy is actionable. Individuals and Groups are listed separately by type, format and then alphabetically. Individuals may query Group Contacts and Group Contacts may query Individuals to find a Critique Group fit. Illinois NETWORKS that critique are free and open to all! Any additional critique member requirements: Group limited to 8 authors who have published one or more pb; Two members submit a picture book manuscript each week. Everyone gets a critique with line edits once a month. Any additional critique member requirements: Only PB writers serious about their craft; manuscripts for critique are posted in our private Slack channels by the 1st Monday of the month (Note: We also post writing insights and resources there for the group.) Membership capped at 6 members, currently FULL but willing to waitlist. Acceptable genres, formats: We critique all kinds of work:Your query,our fellowship application,your manuscript: YA, middle grade. We might not be the best group for picture books. Any additional critique member requests: Submit a sample to janehertenstein@gmail.com. Let me know what kind of work you’re currently focused on. A bio is nice, with an emphasis on what you’re hoping to get out of the group, past pub creds, and experience in other critique groups, workshops, conferences. Acceptable genres, formats: Board books through middle grade, fiction and nonfiction. Though science fiction. fantasy, and young adult are not our strengths, we are open to these genres. We would not be a good fit for an illustrator only. Meeting location: Naperville 6:30 p.m.
Any additional critique member requests: Applicants should submit a writing sample and to attend the first meeting as an observer. Decisions by the potential member and the group are made after that first meeting. There is no trial period. SCBWI-IL NETWORKS THAT CRITIQUE: Illinois Networks are free and open to all. Network Location: Contact Network Representative for meeting place. Acceptable genres, formats: All writing formats/genres. We have writers of varying degrees of experience, and we always welcome new writers. Network Location: Contact Reps for location.